Blogging is the sweetest element of the global internet this is the prime reason why daily almost thousands of Bloggers are born, with one motive to achieve the never ending brilliance but unfortunately only few Bloggers fly high while the rest mourn due to unsuccessfulness. The crucial motive behind the failure in Blogging is the lack of presentation. Being a Blogger we need to carry out efforts try to develop excellence as our main concern should be creativity. Content is the central branch of a Blog, if our Blog is lacking in content then we will never receive positive response from our spectators. It is one of the most frequent questions which arrives in Blogger mind that How We Can Create a Perfect Blog/Website Post, which fulfills our readers needs. Every Blogger try his best to create sharp and fresh content but due to misconceptions some Bloggers fall short in this blogosphere. This is the reason why today we will discuss how we can create professional blog posts which will be a one step towards PRO BLOGGER. To write like a professional Blogger we need to be dedicated towards the term Blogging, it is the time that we accept Blogging as our passion. Selecting a topic is most crucial piece of a post this is the reason why most of Blogging giant preferred to write on those topics which are trendy at the moment. So to attract spectators hunt for the most appropriate topic that relates your niche. And once you find it just go a head and write a colorful post. Post Title plays anchor role in most of the Blogs, but selecting most appropriate post title is becoming one of the biggest bothers for a modern Blogger. This is the main cause why most of Bloggers are unable to transform their talent into words. 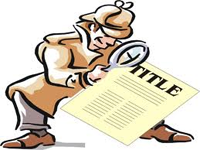 Many friends of mine asked me how we can select a perfect title which attracts audience. Using enriched words related to our content is the only technique which will lead us to choose a great title. Basically title is the heart of a post it delivers life to our content and without it posts appear to be extremely dull as title is main ingredient which attracts audience from search engines. Following are the tips which will lead us to create a perfect Blog post title. To be the best in the town of Blogging we must learn from our weakness and try our best to over come them, while on the other hand we should discover our abilities try our best and make use of them. When we write on those topics that excites us, we will feel a never ending wave of energy in our body which will lead us to a professional well written post. Once we finish writing our post we usually save it in draft and wait for the correct moment to hit the publish button. We never realize that we need to go though our post at least once or twice to remove the human errors. It’s important for every blogger to review his post again and again till he gets to the conclusion that it is perfect to be published. This will not only improve your credibility but also increase your quality. Words are the most important element of a blog, but if we fell short in terms of vocabulary then it will become a dead end. The term vocabulary posse’s numberless words on specific categories so all we need to do is to look for those words which suits our posts. And this will be one step forward towards publishing a post based on professional outlook. Quality is considered as the main weapon of professional Blogger basically people look for those blogs which maintain quality in their each and every post. While on the other hand if we want to create a professional post then we need to maintain uniqueness, as we all know Google always preferred quality and uniqueness. According to them “Content is king”. So its better we retain quality and try our best to be unique. Images are considered as the most significant part of a Blog, in the other words we can say that images indicates the supremacy of content, that a Blogger is so dedicated about Blogging. Basically an image tells the visitors every thing in just few minutes. So if we associate at least one image to our post this will surly increase our reliability. A post which posses each and every information about a certain topic, is by default considered as a professional post. If you restricted your self to short posts then it will not only affect your SEO but it will lower your blog quality. A good post should consist of 1000 words at least. If you are successful in finding the answers of these questions then surly you are one step away from creating valuable content. Now after going though all tips, its time that we rose up and think about professionalism. And to do so we need to create a professional outlook for our blog that how to manage our blog posts, which topic we need to concerns all these important things are very crucial. 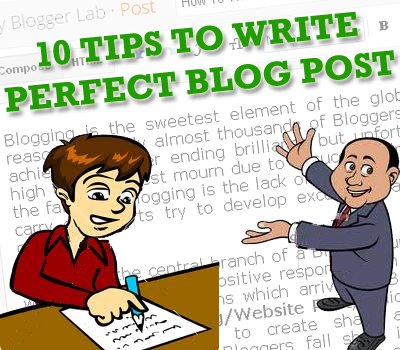 To create a perfect blog post maintaining professional outlook is must for every blogger. Becoming a professional blogger is the most enthusiastic dream but our dream will only come true when we get dedicated towards blogging. We all know the recipe of becoming Pro blogger and that is quality! quality and quality so we need to build or mind with motivation and self believe to fly high in the sky. Give your opinions on 10 TIPS Write Like PRO BLOGGERS till then peace blessings and happy pro blogging. where you are getting this type of pics for posts. I think you are good designer. I am EC engineer and right now full time blogger and running many successful blogs for education, technology etc. I just came across your blog, It has nice design and structure. I am really interested to purchase it. I am from India. Please let me know about your opinion, so that I can offer my price. Hi Brother Thanks For Showing Your Interest, Still MBL is in it's growing Stages Thanks For Your Appreciation. Sir, I am Really Sorry That I will Be Unable To Entertain you regarding this Topic, As Having a Blog is my Dream. And My Dream is to Entertain And Motivate Bloggers And You can See I have Not Even Placed Advertisement. As You Guys are More Then Money!! But Still If you Want to Contribute on MBL (MyBloggerLab) You Are most Welcome as This Blog is Running Because of Dedicated Readers Like You. Peace Buddy. why you not add a contact page ? is this self hosted blog ?